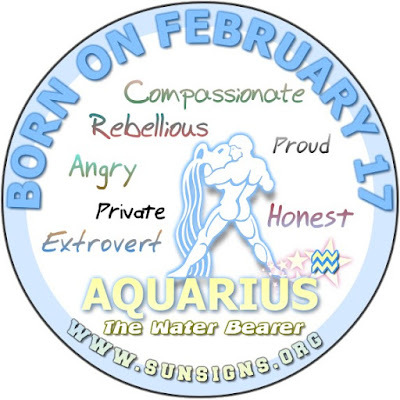 IF YOU ARE BORN ON FEBRUARY 17, you are hot-blooded and yes, my dear Aquarius, you are weird and wonderful! It’s not because of your out-going personality, or that you do not care for people knowing your personal business. It is not even that you prefer to be a loner. People with a February 17th birthday are private and expect people to respect your wishes. (Call before you come as intrusive people are turn-offs for Aquarians.) It is because, Aquarius, you get in a mood and suddenly, your word becomes questionable. As your birthdate horoscope profile shows, you become rebellious, hurtful and angry… almost to the point of doing physical harm to someone. If not this, then you are keeping to yourself. You do not answer phone calls or return messages. 17 February Aquarius, you can be stubborn and sometimes, you are just unstable. You need not act on your impulses all the time. It is in you… Be strong. Because of this, you do not make friends right away, or at least any real friends. You want them to shed their quandaries but will not allow yourself to be seen as human. On the surface, many that seek your companionship are willing participants in the dating game until they find out that you value your freedom more than you value them. Aquarians born on February 17 are usually best compatible with someone much like themselves. You don’t have to work as hard with two Aquarians. You are mirrors so, figuring out where your weakness are or where your strengths are, is easy. On the other side, Aquarius, you are a do-gooder. The birth date analysis for those born on February 17 shows you are proud humanitarians. You will do something beneficial that will change the conditions of people for the better. You know how to get down to the root of a problem, hear both sides and draw your conclusion before making a decision. Some of your efforts may be idiosyncratic so expect a negative response or two. That is when you pull your pants up, and dig deeper. People should respect your hard honesty. After all, you get the job done. The 17 February birthdate person is full of ideas and your results are prosperous. What is wonderful about you Aquarius is that you are intelligent, rational, and down-to-earth. Those born on this day are Aquarians that can be trusted. You are always looking for new ways to make money. You have a progressive way of thinking. Aquarians are sophisticated people. As the February birthday zodiac sign, you will be driven like the wind. Some people never change how their surroundings look. Not you… Aquarians live for change. You also have a flair that is different from most of ours. It is a drastic change from shopping at Gap. You have invented your own style, which really shows your personality off. You love to mix and match the oddest of things. The proof is in your decorator’s tips complete with all the latest commodities. 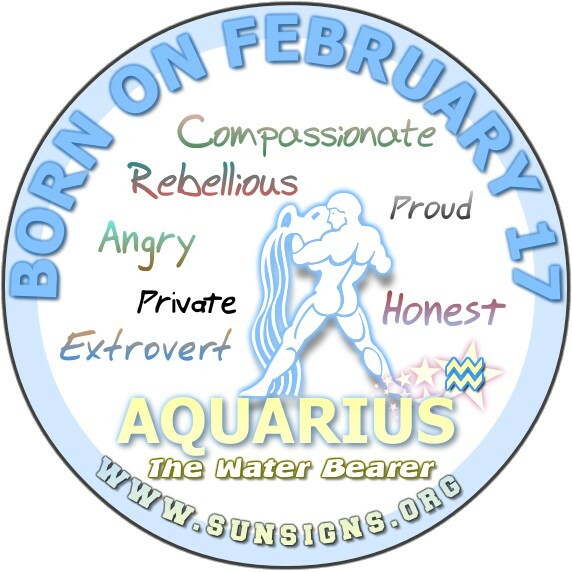 17 February Aquarius birthdays do not really handle their own money very well. Since you prefer to work for yourself, you need to stay focused on the next bid. You need not wait until the last minute to secure another paycheck. It will save you the hassle of making payment arrangements or ultimately, having your power supply turned off. If today is your birthday then you are advised to stay on the grind and stay away from quick loan services. Avoid the stress so you won’t suffer with headaches and experience sleepless nights. Aquarians, you need to take good care of your health. You have an appreciation for alcohol. You need to be careful with that especially since you are prone to having some weird accidents, some of which can be down right funny stories. Nevertheless, you have a propensity to have problems with your legs. 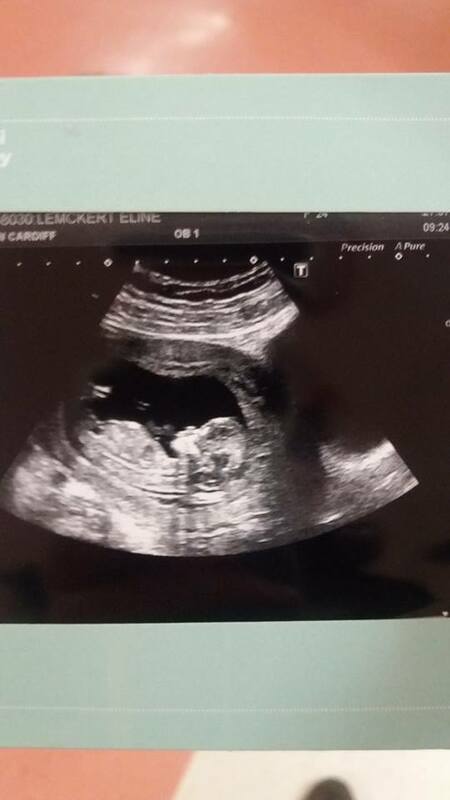 You could also have bigger problems such as heart disease. No one wants that. Take care of yourself, Aquarius. In conclusion, the Aquarius birthdate astrology for those born on February 17 says you are weird and wonderful! You are most certainly a proud, compassionate Aquarius. You have your own style and love doing your own thing. Aquarians sometimes are responsible for their own financial struggles. Stay away from negative forces and take care of yourself! Your ruling planet is Uranus that symbolizes the upheavals in the future, liberation of thoughts and new ideas. Your BirthDay Tarot Card is The Star. This tarot card symbolizes a hope for the future, peace and spiritual awakening. You are most compatible with people born under Sun Sign Sagittarius: This will be an adventurous relationship that is always on the move. You are not compatible with people born under Sun Sign Taurus: A relationship with the Bull will only end up in conflicts. Number 1 – This is a very dynamic number that stands for self confidence, will power, authority, individuality. Number 8 – This is a very diplomatic number that stands for materialism, power, recognition and wealth. Blue: This is a color that symbolizes trust, loyalty, peace, harmony and success. Maroon: This colour stands for courage, strength, healing and beneficial powers. Amethyst is a gemstone with healing properties that can help get over drunkenness and other addictions. A good 3D action flick with glasses for the man and a crystal bracelet for the lady.